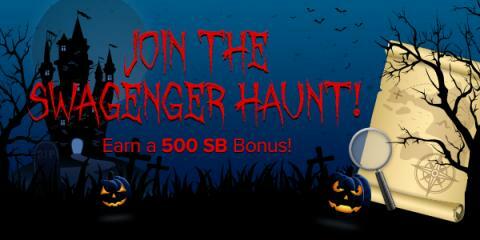 Join the Swagenger Haunt at Swagbucks this week! Swagbucks, my favorite cash back rewards website, is hosting a Swagenger Haunt starting today! It's essentially on online scavenger hunt where you follow clues via their search engine to earn points called SB which you can redeem for gift cards! It's a great opportunity to try out Swagbucks if you haven't already.